This has been a very busy week for me, so there’s no new design this time round, but that means that it’s time to revisit an old piece! This piece was also done to keep my vectorization muscle toned and sharp. When it comes to vectorization, the size of the text makes no difference, really. When making the original hand executed version of this piece, the larger letters took more time than the smaller letters, simply because there was more ink to put on the page. In a digital setting, however, it’s the other way round. The section that took the longest on this piece was the “I can’t tell you what” line of Copperplate, which on the original only took a matter of seconds, in fact, seeing as it was executed in actual calligraphy. That being said, there are a few tricks you can employ, especially when dealing with a script like Copperplate. The way it is constructed is so geometrically precise that many of the shapes can be recycled from one letter to the next, or even from one design to the next. 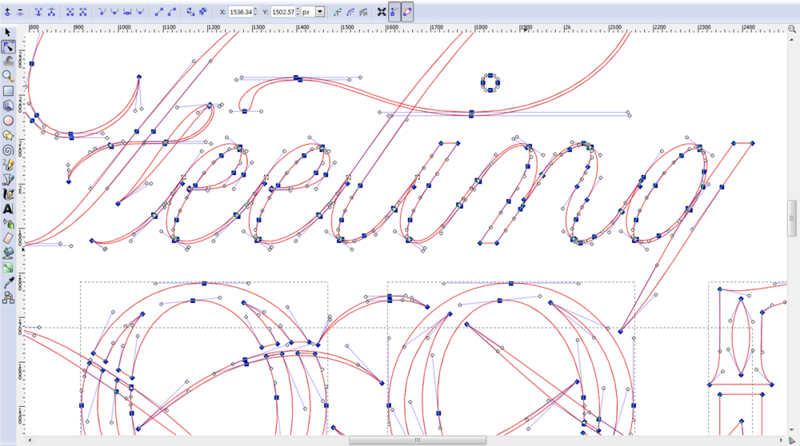 In this case, once the basic oval, lead-in curve and lead-out curve were vectored, it was only a matter of applying them to the right situations and then adding in the rest of the bits and bobs that make the letters different from each other. To give you an indication of what that all means, take this example: the oval that makes up the O is the same as the first stroke of the A. The second stroke of the A is the same as the lower half of the T, and the first stroke of the Y is the same as the second stroke of the H. In this way, you can save some time and also assure consistency across the piece. Once that’s finished, it’s simply a matter of splashing on some colour and some vector textures to give it more natural look, and it’s finished! So in the process of lettering, producing pieces isn’t the only thing to do. Sometimes it’s necessary to revisit older pieces, or just work on them over an extended period of time. This week, I wanted to share with you an example of a piece that I have taken a little further than the old ink-on-the-page stage. 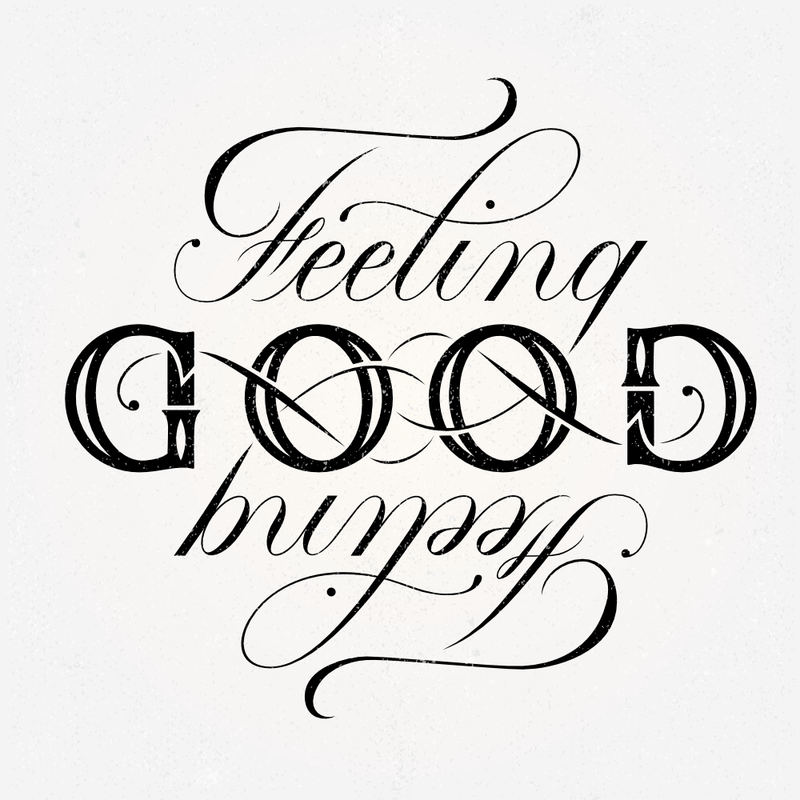 The Feeling Good ambigram I produced several weeks ago was a hit on Instagram, getting featured by several popular typography curation accounts, and it was something that I wanted to develop a little bit more by taking it into a digital setting. Here you can see the result of the vectorisation process, which is a stage that is used to iron out all of the little inconsistencies that occur when producing something by hand. Of course, some letterers make these inconsistencies part of their style, and see it as the appeal of hand lettering, and while that can work for some, and certainly fills a particular niche in the design world, my style is one that focuses on precision and high quality, robust letterforms that will function well at all sizes, display a high level of consistency across the board and survive the test of time. The great thing about taking an ambigram into a digital setting is that once you have refined the letterforms on one half of it, it’s simply a matter of flipping the design to create the other half, ensuring absolute consistency across the design. This piece was always almost mathematical in its approach, even when it was still just ink on paper. The exact curves of the G/D combination in the ambigram are taken from the perfect circle and oval of the O’s between them. The ovals in the Copperplate letterforms are all informed by the same geometric shape, which has been refined in this digital version of the piece, conforming precisely to an exact standard. Going forward, my goal is to steadily accumulate more of my pieces in digital versions that will be ready for production as letterpress prints, posters, or t-shirts, depending on what seems most appropriate for each piece. If you’re interested in owning a copy of this piece, then the chances are that you may see it become available in the future. Then you, too, can feel good, no matter which way up you are! 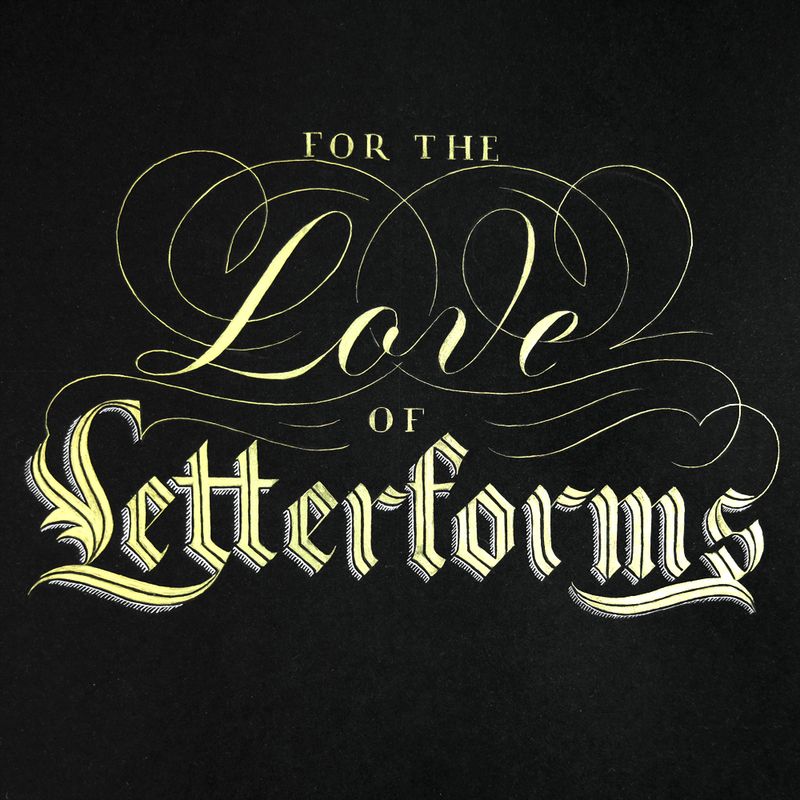 Last week I showed the first two pieces I made for the Ligature Collective’s “For the Love of Letterforms” competition, the winner of which was to be announced on the 27th. Curiously, no winner has yet been announced, so we’ll just have to wait on that, for whatever reason. Hopefully they haven’t forgotten. Regardless, here are the next two pieces that I made for the competition! 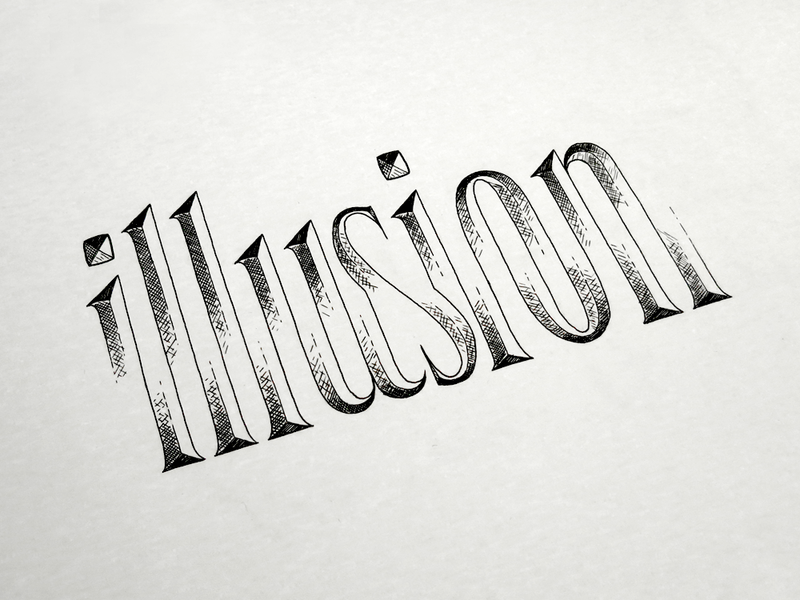 This first one is done in my own style of illusion script, which is an effect that I haven’t seen anywhere else around the web. If there’s anyone else who does this style, I would be very interested to see their work, but as of yet, I can only assume that it’s not common at all, perhaps even being unique to the couple of pieces I’ve used it on. Either way, this style has been very popular on Instagram, and this time I combined it with a very simple monoline sans serif, which sits unobtrusively atop the letters. The particular spacing of the ascenders in the word “letterforms” meant that there was the right distribution of emptiness so that the sans serif could be evenly spaced for consistency. The second piece I did was in the same style as the very first piece I ever submitted for the Ligature Collective competition series, which was to celebrate their 10K milestone earlier this year. The piece was popular on Instagram, and though it didn’t win the competition, it came in as a runner up and got an honourable mention on their page. The piece combines bold and simple letterforms with a focus on legibility with a highly ornate style of flourishing that informs the piece’s overall composition, and is used to shape the outline of the piece as a whole. 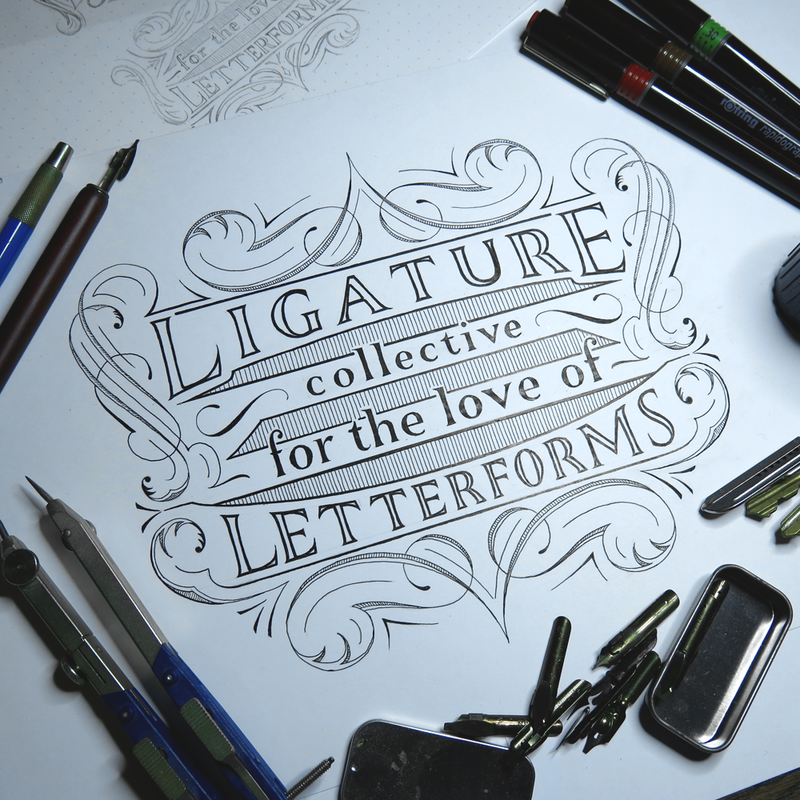 I wonder why the Ligature Collective has remained silent about the competition so far, and when their announcement of the winner will be. So far, they’re a day late, but hopefully they will make an update soon, whether it be to give a reason for the delay, or to announce the winner. Fingers crossed! It’s competition time again! You may recall that a long time ago in a blog post far, far away I wrote about entering a competition to perhaps get into an elite team of superheroes. Well, okay, it was about 23 weeks ago, and instead of superheroes they are letterers, typographers and calligraphers. The Ligature Collective held a contest for Instagram users to submit their best work of art based around the phrase “Ten Thousand Followers” to celebrate, well, you guessed it, getting up to the 10K mark on Instagram. Long story short, I entered, wasn’t one of the 3 winners, but got an honourable mention, along with 8 other lucky artists. Suddenly, the Ligature Collective Strikes Back with their next competition, this time in celebration of getting 50 thousand followers! I know, that’s 40,000 followers in 24 weeks, which in case you’re wondering, is just about ten an hour, or about one every six minutes. Whew. 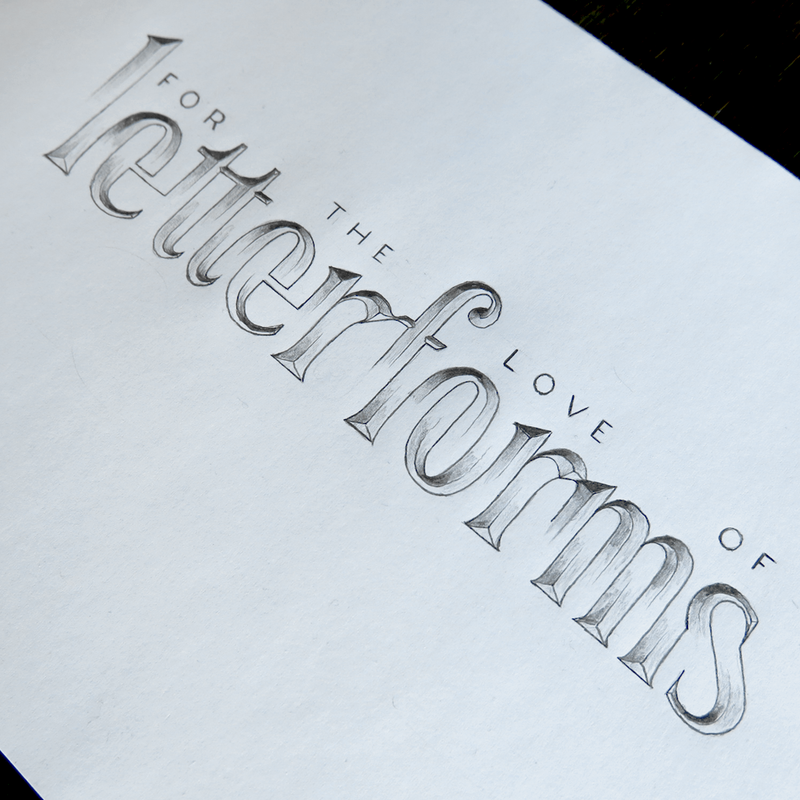 This time, the brief was a piece of lettering of the words “For the Love of Letterforms”. The rules allowed unlimited submissions per person, so I thought I may as well go ahead and do as many as I liked. My goal in doing so was to showcase the variety of styles that I’ve become capable of using over the years and come out with several pieces that differ from each other in feel and appearance as much as possible. With the first, which you can see above, my intention was to design something that was visually very simple. There is almost no flourishing at all on this piece, and the shape of the composition is made simply through the arrangement of the words themselves. This piece uses a combination of styles, and is reminiscent of the techniques used on old certificates and official documents which employ a combination of heavy blackletter text surrounded by much lighter flourishes and Copperplate accompaniment. The other quite obvious contrast between the pieces is that this one is in gold and white paint on a black background, whereas the other is classic black on white. Both these pieces, I feel, were a success, and I achieved with them what I had set out to do. The next two, which I will talk about next week, are at great contrast with each other in terms of complexity, but both of which were very popular on Instagram and gathered much attention. Tune in next week to find out what happens! Not only will the next pieces be revealed, but I also will have found out if I got into one of the coveted two available spots on the Ligature Collective team. Fingers crossed! We’re all gonna live forever! Well, not really. That would be terrible, wouldn’t it? Aside from the personal boredom and increasing cynicism that would start to affect everyone, one of the most important ways in which society changes is with the refreshing of generations. People, as it turns out, don’t really change that much. Old ideas get pushed aside when the people who hold them disappear, not because those people stop holding certain views. What, then, might happen if we suddenly all start to live forever? 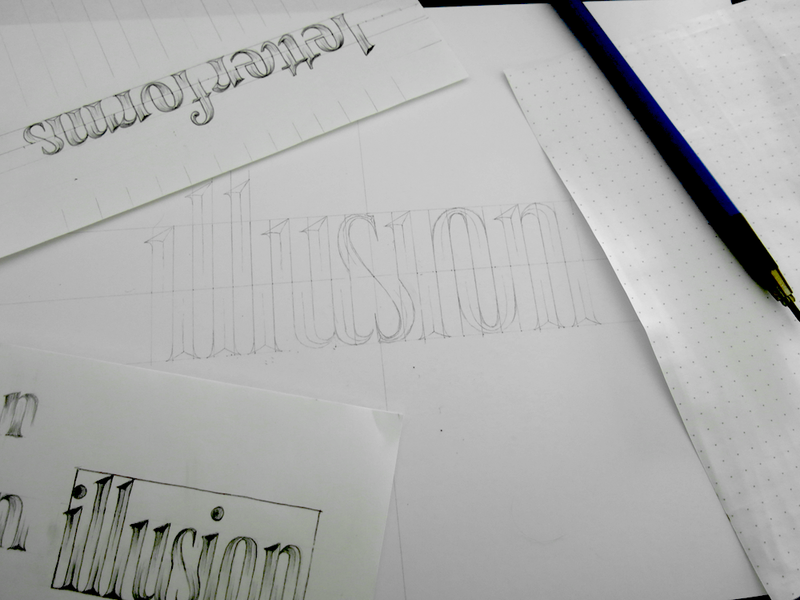 Well, for one, this lettering piece will become true. For another, a drastic change in the birth:death ratio would mean that world population would quickly increase to the point that we would need to colonise other planets. And lastly, those with power and riches would find ways to keep them indefinitely. But hey, I think I’d trade that for my lettering piece becoming relevant, wouldn’t you? 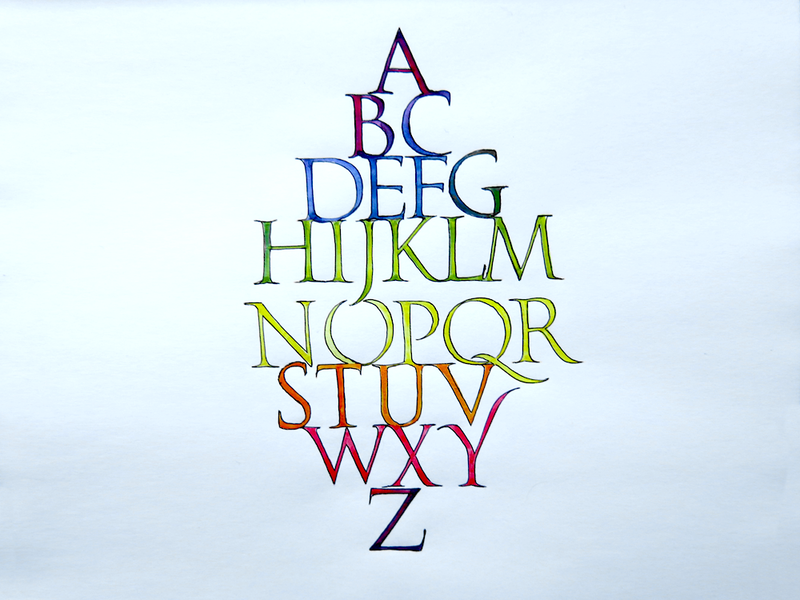 This piece is a first for me, because it includes lowercase (or minuscule) Romans. But surely I’ve done that before, haven’t I? Well, yes, I have, and usually you would just call them typographic lowercase serif, but in this case, it’s not lettering modelled after a typeface, it’s the original, real-deal calligraphic forms, which the typefaces themselves were modelled after. 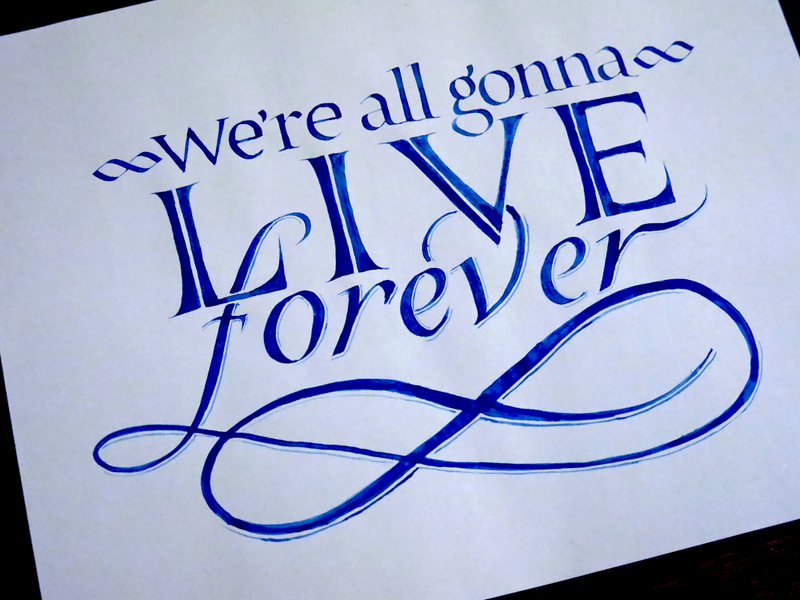 The words “LIVE” and “forever” were both done with lettering, meaning that they were constructed through a numerous series of strokes (that is to say that they were drawn, not written), whereas the first three words are calligraphy. 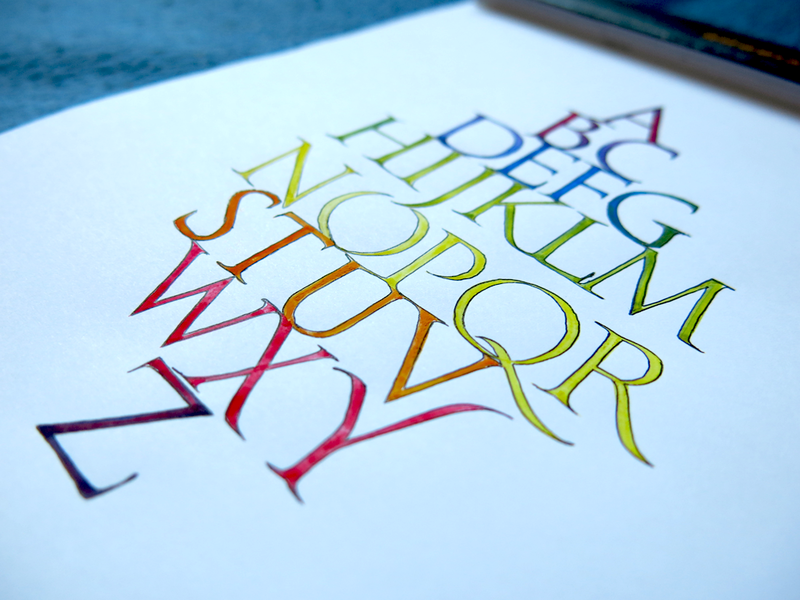 Calligraphy is an all-or-nothing kind of affair where you only get one shot at getting it right. It’s quick to produce, but when the letterforms are executed in a matter of seconds, any tiny mistake in hand motion affects everything. 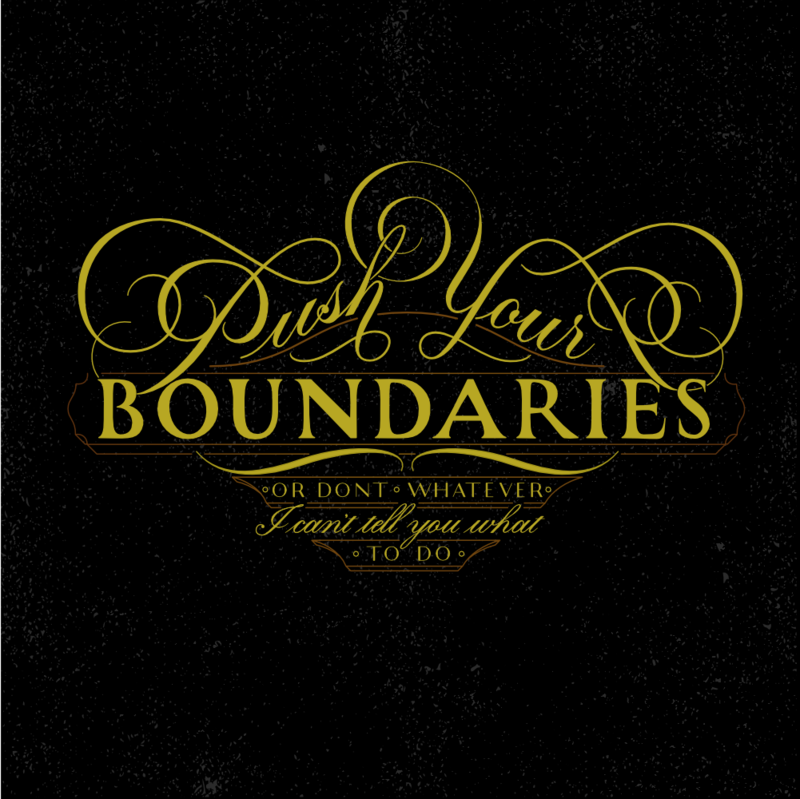 Here, the first three words, “Push Your Boundaries”, are lettering. They were outlined in pencil, inked (or in this case painted), and filled. Everything else, however, is calligraphy. The sans serif Romans were done with the same flexible pointed pen that was used for the Copperplate, which while was planned out in pencil initially, was executed in two or three minutes, using pressure and nib control to achieve the correct line weighting. Less obviously in this piece is a mixture of different media. The piece is done in gold paint, but some of it includes some ink too. 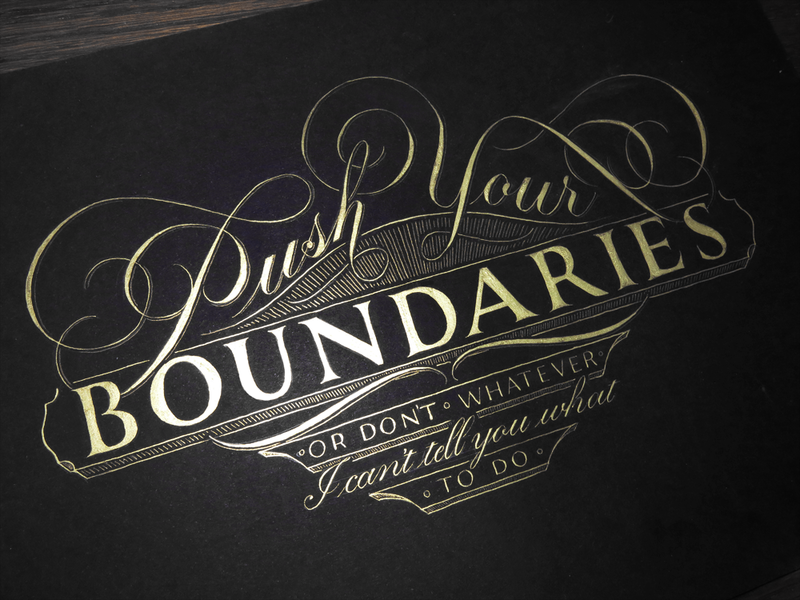 The subtle drop shadow on the words “Push Your”, and the radial lines below them, were made with a mixture of gold paint and black calligraphy ink. The ink was used sparingly, as black is very powerful, and the piece being gold-on-black in the first place meant that if it were too dark, it wouldn’t show up at all. The ink, however, gives it just enough darkening to fit well as background ornamentation that doesn’t steal focus from the letters themselves. Time to count the legs on the elephant! You may have found it a little tricky to get a good idea of which bit is part of each letter, and that’s because this piece makes use of a technique found in an old optical illusion involving an elephant that either does or doesn’t have too many legs. Talk about Schrödinger’s elephant! 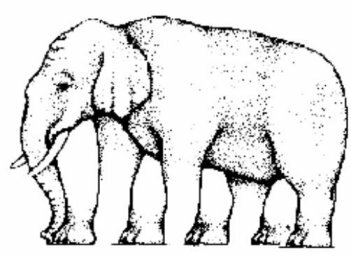 In the elephant illusion, the fun part is trying to see how many legs and feet the elephant has. It looks like it has 5 feet, but only 4 legs, and that’s because it uses the negative space between the legs to create an extra leg. Similarly, with this lettering piece, it’s the negative space between the tops of the letters that goes on to form the bottoms of the letters. The effect is not to create any kind of “extra leg” illusion, but simply to give the eye a little bit of a confusing time while trying to read the word. Above, you can see the design going from initial sketch to being pencilled in at full size. The curious stipulation about this type of illusion is that it is necessary for the negative space between the letters, that is the inter-letter and intra-letter space both, to be of equal to the width of the strokes of the letters. If there were too much space between one letter and the next, the design would fail, as it would force the corresponding upper or lower section of the letter to become too wide. As a little bonus, there’s the word “letterforms” upside-down at the top. Another quirk of this style is that not every word can be done in this way. The way that the letters are split in half means that they need an even number of elements on the top and on the bottom. All these letters have either a single stem that runs from the top of the x-height down to the base line, or they have two. The S is a little strange, in that it only has one stem but takes up more room than other single stem letters, such as the I’s and L’s, but with a little jiggery-pokery, we can make it work. Other letters, however, are not so fortunate as to be able to be included in a design such as this. 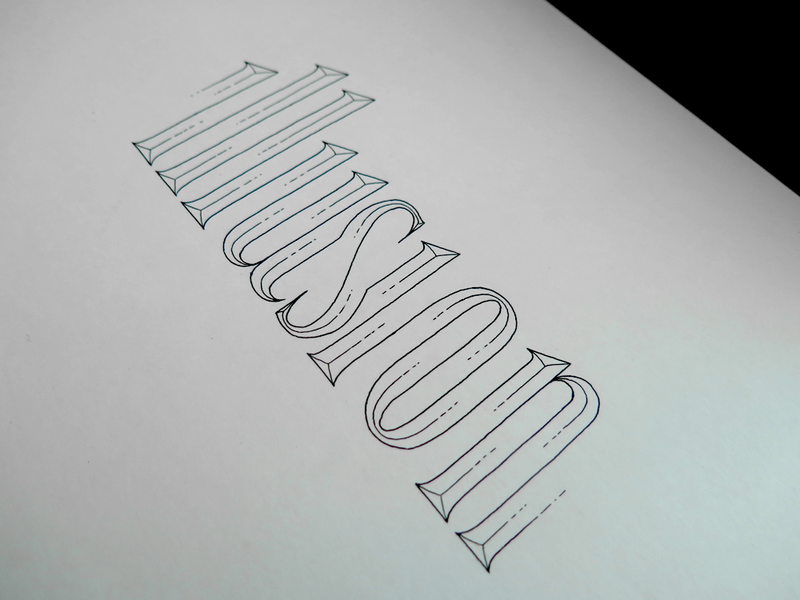 Consider an upper case letter L. To create this effect, the bottom half of all the letters is simply shifted across one stem’s thickness so that it lines up with the negative space. The upper case L, however, has a single stem, but has a double wide base. As such, there is a gap created at the top that would leave the line of another letter shooting off into space with nothing to join onto. Other letters are simply too complex to maintain legibility when distorting their form so much: the letter K, for instance, with its combination of verticals and opposing diagonals wouldn’t do well in a design such as this.